ISO certification to produce medical devices acquired! Our production site in Jiangmen, China, has acquired its ISO 13485 certification which marks an important step for Rompa’s future. The certification demonstrates that we meet the international quality and safety standards to produce medical devices. This means that customers in this growing market can also call on us from now on. The production of medical devices is subject to rigorous requirements and standards because these products must be safe. 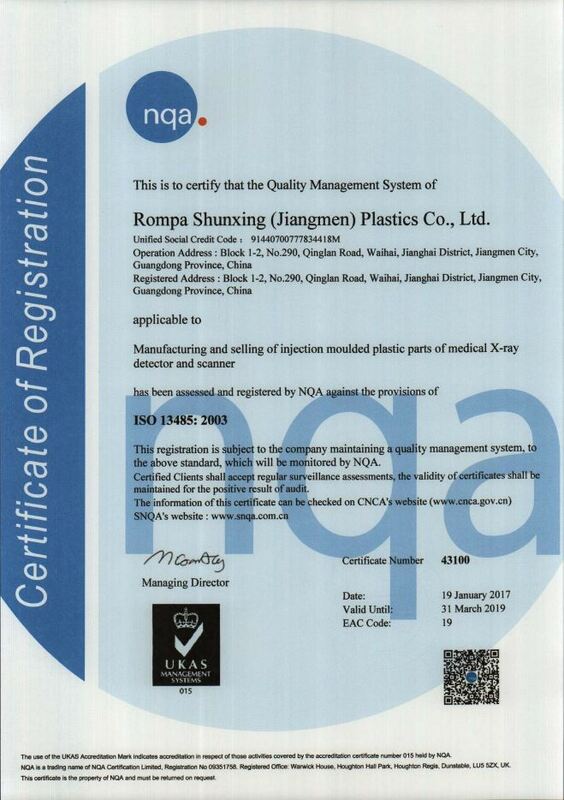 Rompa Shunxing acquired its ISO certification by investing in safety measures (e.g. special lint-free clothing, safety procedures and their documentation) and professional training programmes for its staff. An advanced cleanroom was also opened. All these measures ensure we are fully equipped to produce medical devices such as pregnancy tests, equipment for general practitioners and personal care products. 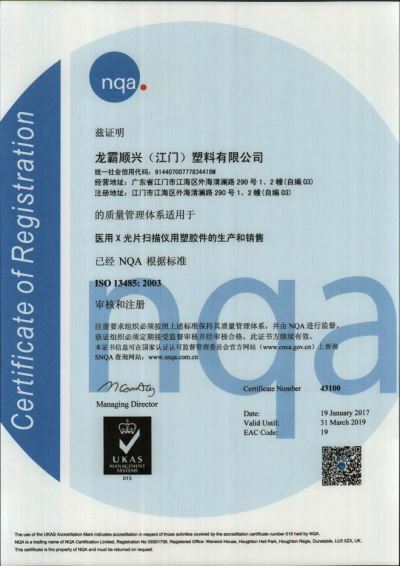 This certification proves that our Chinese plant can produce safe medical devices in accordance with European standards such as the 93/42/EEC directive. This is our fourth ISO certification in a row, following ISO 9001 (quality management system), ISO 14001 (environmental management system) and ISO-TS 16949 (production for automotive). We could not be prouder of this significant achievement! Before acquiring the ISO certification, we were audited for various areas. Inspections were conducted to e.g. consider procedure, quality and safety documentation, detailed product specifications, product licences for medical equipment and devices and registration certificates for medical equipment. At the production site itself, an audit was conducted to verify that our methods are safe and in accordance with the agreements. Now that the certification is ours, we will still be audited periodically to ensure our continued compliance with the applicable standards. This means we can guarantee the safe production of medical devices – today and in the future.